Today I share with you another sneak peek of a new product in the Annual Catalogue. 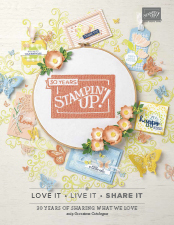 This stamp set is also what I will be showcasing at my next class on Saturday 6th June at 1pm. To view my full list of classes, click here. 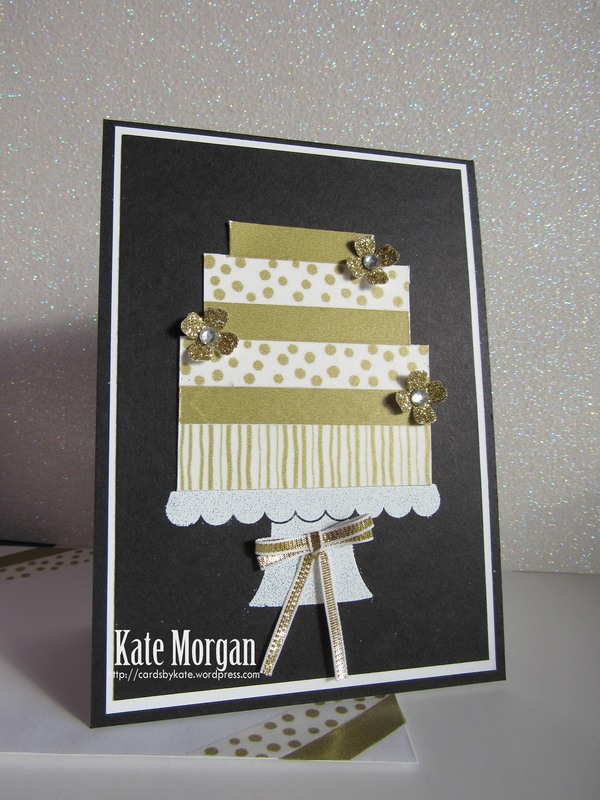 This stamp set is called Build a Birthday, but yes, I have changed the theme and made a wedding card from it. 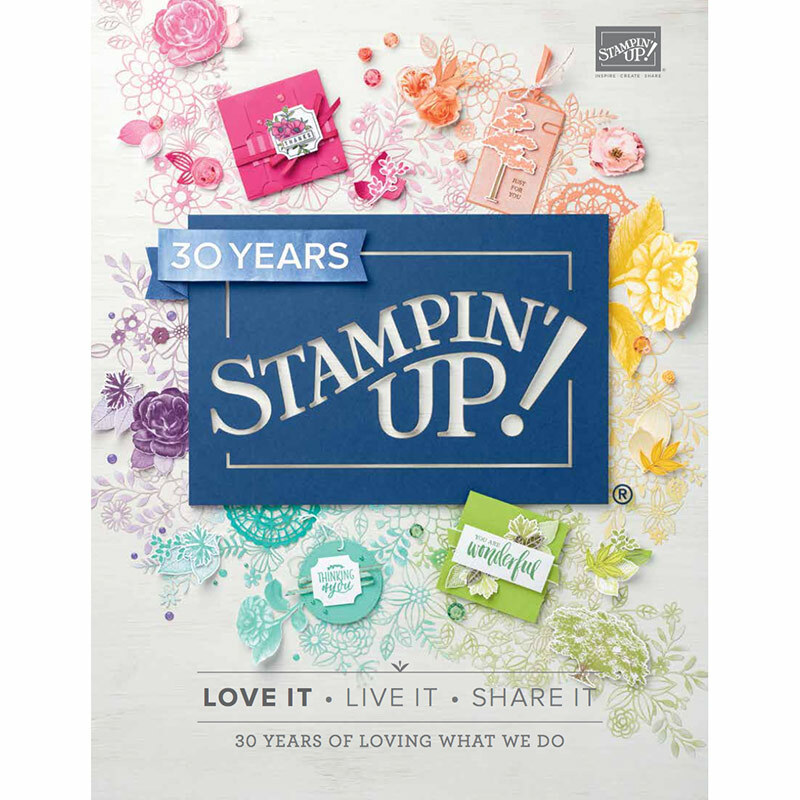 This just shows how versatile this set is, and you won’t believe what other things we can make with this stamp set. The base card is Basic Black with a layer of Whisper White, then another layer of Basic Black. I stamped the cake stand in Versamark ink directly onto the black card and added some white embossing powder before heat setting it with the heat gun. 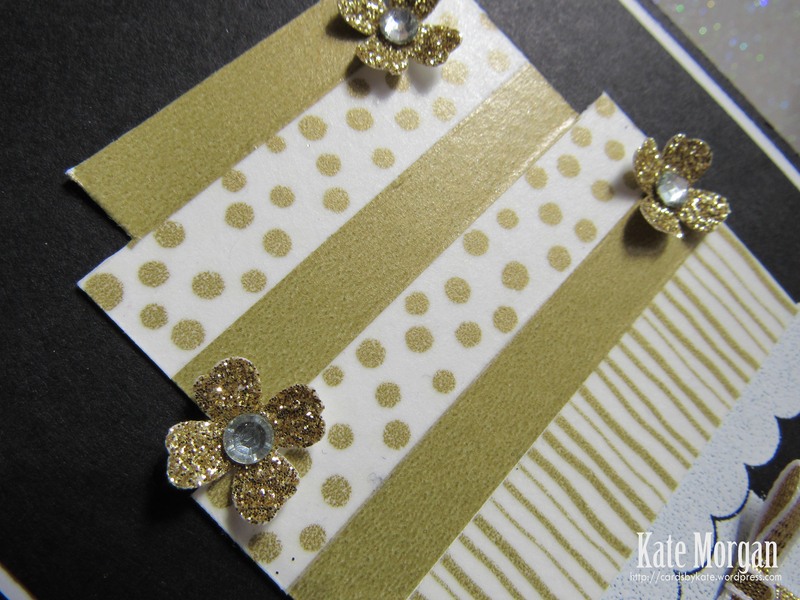 The cake layers are strips of washi tape that I have lined up on some white card in layers. I put it onto white card because the washi tape is sheer and it wouldn’t have shown if stuck directly to the black card stock). I cut out the cake indenting between the layers, before adhering to the top of the cake stand. So simple but super effective. I added some little gold glitter flowers with glue dots and a rhinestone in the centre of each one, and a gold bow to finish it off. Don’t forget to decorate the inside of your card and the envelope so everything coordinates with a little of the washi tape!! !